Calabria is back on the path to becoming one of Europe’s top property choices, regaining the limelight that it, along with all overseas property hotspots lost when the crisis caused desire to buy overseas property to die in all but the super wealthy. Italy has long been one of the most popular tourist destinations in the world, and the likes of Tuscany and Chianti have been among the most popular destinations for overseas property purchases, though they quickly became too pricey for the majority of buyers. Here comes Calabria, offering all that is quintessentially Italian. Naples to the north, Sicily to the south, oceans to the east and west and a fantastic climate — what more could you ask for? Low prices? That is arguably Calabria’s main strength. For people priced out of Tuscany, Chianti and even Naples and Sicily can easily afford to buy property in Calabria. 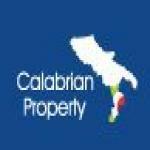 Please use the links to find out more about Calabria property.